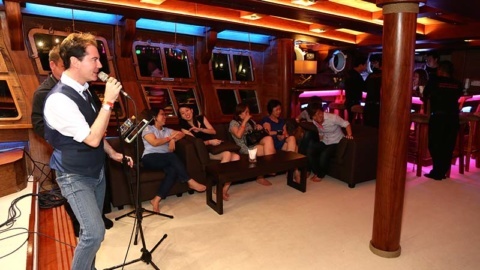 Celebrate your birthday in absolute comfort out at sea only aboard Singapore’s largest luxury yacht for charter. 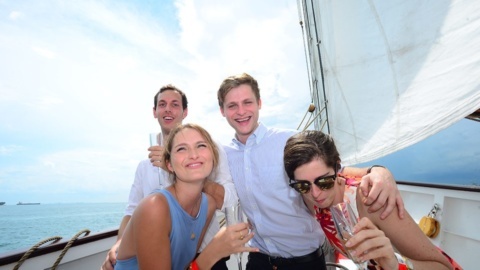 Create memories with loved one’s when you sail with us on a private yacht charter and party the night away tapping your feet on the live entertainment. Rent our yacht for a yacht party or select a birthday package from one of our specially curated birthday packages and that’s about all the work you have to do to plan your birthday party, as the rest will be taken care by our crew. 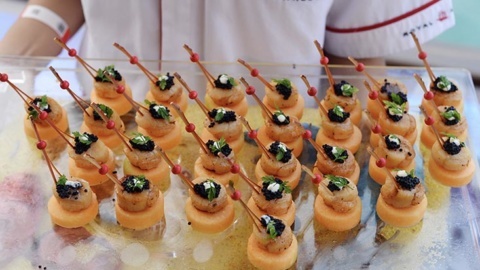 On private yacht rental, our experienced event managers work with you to curate special packages to include experiences to delight your senses starting with a feast to whet your appetite, live entertainment to keep you entertained throughout the cruise and experiences such as activities on board to keep you engaged, so look no further and rent our yacht on board the Royal Albatross. 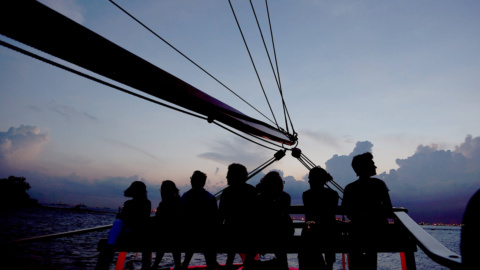 What better way to celebrate the most important calendar date in the year then to book a romantic Sunset Sail dinner for two or a private yacht rental of Royal Albatross for a larger group to commemorate the occasion. Treat your loved ones with true luxury and romance the night away action-packed itinerary as our event planners curate a night to remember this special day. Be it a Sunset dinner or Live Jazz band playing along with our open deck, we have it all covered when it comes to romancing out at sea. Our fully customisable private charter comes with all inclusive F&B, AV and entertainment packages which suit most of the budgets. So if you are thinking of creating a buzz in your social circle by throwing a lavish upmarket yacht party, look no further, as Royal Albatross will set it on fire! The Royal Albatross is the definition of Unique, one of a kind and not to be found anywhere in the world. She offers a truly exceptional experience that bonds her guests, sharing a lifelong memory. The Foredeck is the most sought after location on the ship. There is nothing quite as thrilling as standing on an open deck with the white sails billowing above you and the crisp sea breeze in your hair. For the best view, the Aft Deck is the place to be for 360-degree views. With the Bar, Capstan Table, and Flying Seat, you will feel like you’re hovering across the waters. Our luxurious Grand Salon is a spectacular example of Royal Albatross’ uniqueness. Carpeted and hand crafted using 100 year old hardwoods, it eludes charisma and charm while supporting incredible acoustics making it perfect for discerning clients, corporate and private events. Royal Albatross’ lower deck has 4 en-suite guest cabins and a 402m crown jewel – its Owners Cabin with every amenity to suit a billionaire’s lifestyle. With customizable ambiance mood lighting throughout, they leave an indelible memory in your heart. The Royal Albatross was designed for flexible layout configurations from classy sit down dining, to lively cocktail receptions, to theatre style presentations and lounge setups. Event management concierge service is included with our corporate packages. 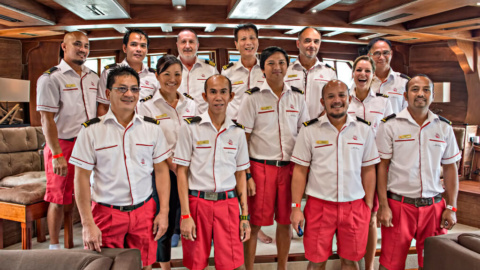 Being the only yacht in Singapore with NEA and Liquor license Royal Albatross can serve an amazing array of Chefs and Cuisine from around the globe to satisfy your every whim and cater to the most discerning palate and that too in the middle of the ocean! 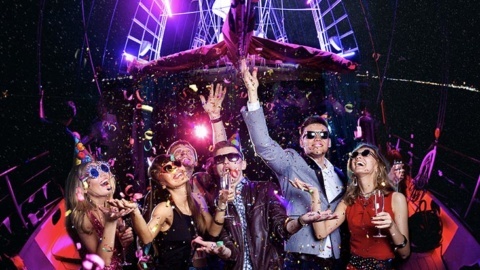 Matching the right entertainment package to the style and mood of the event is essential, with our portfolio of professional entertainers, bands and Emcees you can sit back confident that we have got just the right match for you. Under the able leadership of Captains, our tall sip crew is trained to take care of the ship and its guest to the highest safety standards period in the world today, our crew sail the ship traditionally by climbing the masts and manually setting the sails using the ropes.